Allow me a slight tangent to give you a little set up for my review of Sound Shapes. Jim Henson was only ever nominated for one Academy Award: Best Short Film for “Time Piece.” The short is a surreal mélange of animation, stock footage, and images of Henson himself as a figure hunted by his own mortality. There’s no dialogue. The sound is at first abrasive, all noise played loudly over exaggerated actions, but there’s jazz in there too, brushed drums and horns, blurring the lines between what’s played by instruments and what’s played by everyday objects. The cumulative effect of the chaos is musical and revelatory. Cacophony, both visual and aural, transforms into song. 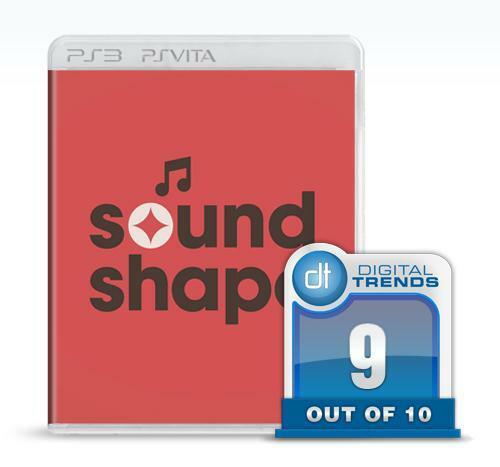 Queasy Games’ Sound Shapes for PlayStation Vita and PS3 does the same. Its five “albums” of levels, wrought by different musicians and artists, are too random and discordant at first to be pleasurable as more than just some tight platforming levels. The game slowly reveals its order though, with music, implied story, and challenge that blossoms rather than bombards. These aren’t really the main attraction though. Sound Shapes is, first and foremost, a box of tools to let you build playable time pieces of your own. Its greatest success is how understandable it makes that act of creation. No matter what you make in Sound Shapes, the rules of the game are the same. You control a little glowing ball that pops out of a turntable at the beginning of the stage. The goal is to reach another turntable at the end of the stage, collecting coins as you go. Each coin adds a note to the song playing throughout the stage, and you want to collect them all before you get to the end. 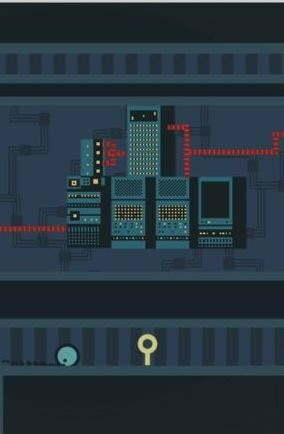 You can finish the level without all the coins in tow, but then you’re not really completing the stage. Getting from turntable A to turntable B isn’t easy in the campaign. Any red object in the environment, whether a puffing little cloud guy or just an abstract shape, can kill you in a single hit, and the coins in each stage are (ideally) hidden in clever ways. The campaign’s albums are all strong in their own ways, and significantly different from one another. “Hello, World” with graphics by Capybara Games’ Vic Nguyen, and music by Shapes co-creator Shaw Han Liem as I Am Robot and Proud, is bouyant and abstract, all primary colors and sweetly melancholic tunes in levels that are straightforward platforming. “Corporeal” by Jim Guthrie and Superbrothers, the musician and artist team behind iPad hit Swords & Sorcery EP, is in a creepy cross between a corporate office and hell, and heavy on environmental puzzles that culminate in a brilliantly cathartic scene. “Cities” by Beck and Pyramid Attack is a lengthy trip through ruined landscapes while deadmau5 and PixelJam’s “D-Cade” is an unforgiving gauntlet of stressed beats and old-school, pixelated jumping challenges. Once you finish the main campaign, you unlock the downright mean Death Mode remix versions of each stage. Completing the stages unlocks the materials and sounds in them to build your own stages and they’re also tutorials on the versatility of the tools at hand. You can go and build something slow paced and tranquil or viciously hard and driving if you want. It’s all at your fingertips, literally in the case of the Vita controls. Using the stage editor lays the game’s building blocks bare. Each screen in a stage is underlaid with a fret-like 8X16 grid. First you figure out what time you want your song to play in as the beat is constantly kept through each stage, replaying the notes you place. Then you place the notes, the tone increasing in pitch as the go up the video game solfège. The instruments unlocked by the campaign albums aren’t always clearly synthesized tones though. Some just sound like skittering record scratches, others like a hammers striking, and some sound like warped banjo strings getting plucked. Many change depending on where they’re placed on the scale to boot. It takes a lot of experimentation to properly learn the would-be instruments you have at your disposal. Placing objects in the environments is simpler by far. Just pick what you want, touch the screen where you want it, and manipulate it around using the rear touch screen. It is the first game ever to properly use the rear touch screen for anything. Sound Shapes really does make the Vita sing. The PS3 Vita uses the controls in a unique and interesting way, but the PS3 controls are easy and simple as well. The test now will be how the toolbox is used. There are a smattering of user-made levels already online, some of which are even made by the game’s mastermind Jonathan Mak himself, but none of them are as thoroughly realized or affecting as those in the campaign. Sound Shapes provides a sampling of “Time Piece” style chaos-to-enlightenment in its campaign, but it’s gone all too quickly, placing the burden on you and others to make more. Its tools are easier to grasp and use than other creation games like LittleBigPlanet, but its challenge is much steeper. 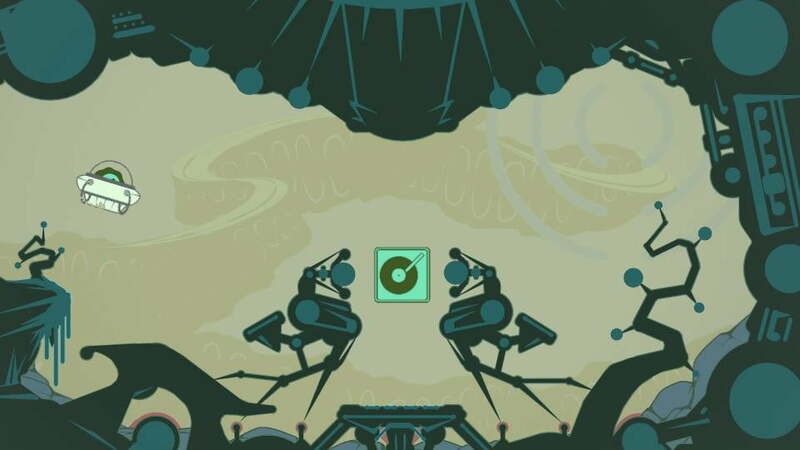 Making a great platformer that’s also a great song is a master class challenge for professional artists, as evidenced by Sound Shapes nearly 6 years of development. It’s great that it puts its power in your hands but it’s hard not to wish it had more just to play.